S.K.B.S. 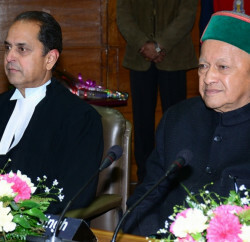 Negi, Principal Secretary, Personnel to Government of Himachal Pradesh revealed that the Ministry of Personnel, Public Grievances & Pensions, Department of Personnel and Training, New Delhi has agreed in principle, to establish an Administrative Tribunal in the State at Shimla, under the provisions of Administrative Tribunal Act, 1985. 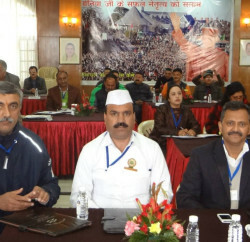 In a written communiqué, Negi revealed that the approval has been accorded for two posts of administrative members and one post of judicial member for the proposed HP Administrative Tribunal. Negi said that the State Government proposes to invite applications to fill up the above mentioned three posts. He said that the qualifications for the posts would be as per section 6 (2) of Administrative Tribunal Act, 1985 which can be seen on website, or in the website of Department of Personnel, Government of HP. As per the provision of section 8 of the Act, the term of office of Member will be for five years provided that no member can hold office as such after attaining the age of sixty five years. 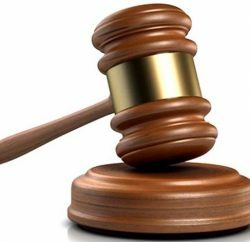 The condition of service of Members will be the same as applicable to Judges of the High Court.